Everyone made gift guides for you to figure out what to buy others, but what about the gift guide to figure out what to buy yourself? It’s nice to have a few people give you money so you can determine your own gift-giving destiny. It’s much easier to get stuck with a whole bunch of cash and gift cards than a pile of unwanted gifts. 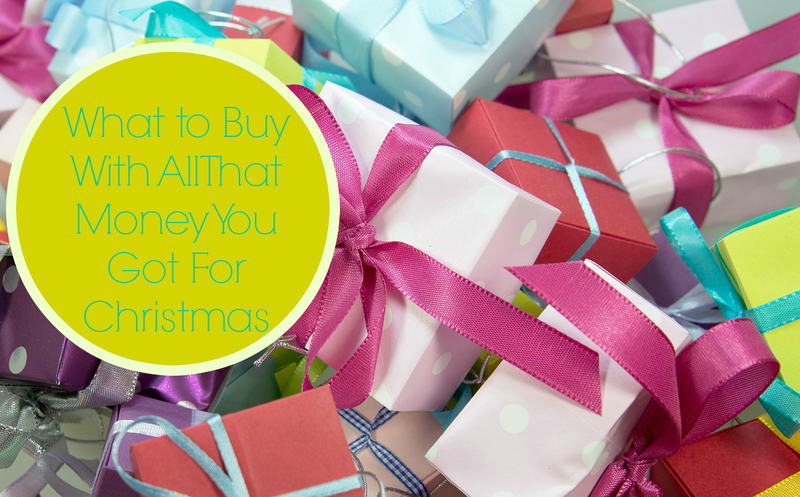 Here are a few suggestions as to what you should treat yourself with this Christmas. 1. Lush Bath Bombs, $6.25/each, $72.95/set, Lush USA. It’s been a long year. Go take a relaxing bath with one of these glorious bath bombs from Lush Cosmetics. 2. Portable Charger Stick, $18.39, Focus Camera. Make this the year you don’t run out of phone battery. 4. Headphone Hoodie, $19.99, Rakuten. 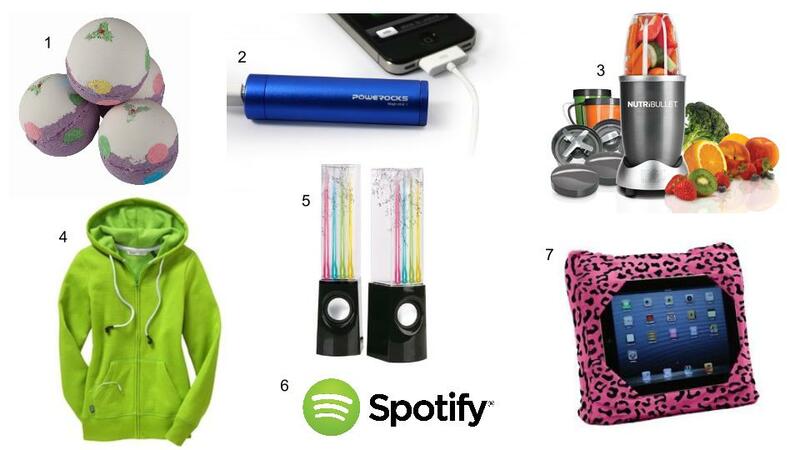 Jam out to your favorite tunes in your favorite hoodie! 5. Dancing Water Speakers, $29.99, Boscovs. Who’s got the better moves, you or the water speakers? 6. Spotify Premium, $0.99/3 months,* Spotify. What better way to use items 4 and 5 than with Spotify Premium! I just got the three month deal, which expires on New Year’s Eve,* and I love it! Take your music underground, and listen without shuffle! 7. Tablet Pillow Holder, $19.88, Walmart. Quit straining your neck. Get a tablet pillow. Whatever you decide to buy, I hope you enjoy it! Happy Holidays! These are some great ideas! I especially love getting gift cards because they’re a lot easier to transport with me when I go back to school. A reverse gift guide? I love it!